Having spent 9 months watching what I eat, drink and put on my skin to ensure that my growing baby was able to do so in the best environment, it seemed crazy to start wiping it with towelettes soaked in chemicals when it came earth side. Luckily when late night instagraming (with dreaded pregnancy insomnia) looking for better options, I stumbled upon Joonya Eco wipes. The wipes are free from alcohol, chlorine, perfume, petrochemicals, formaldehyde, parabens and phthalates. It was so refreshing to actually be able to understand (and pronounce!) all the ingredients listed on the back. 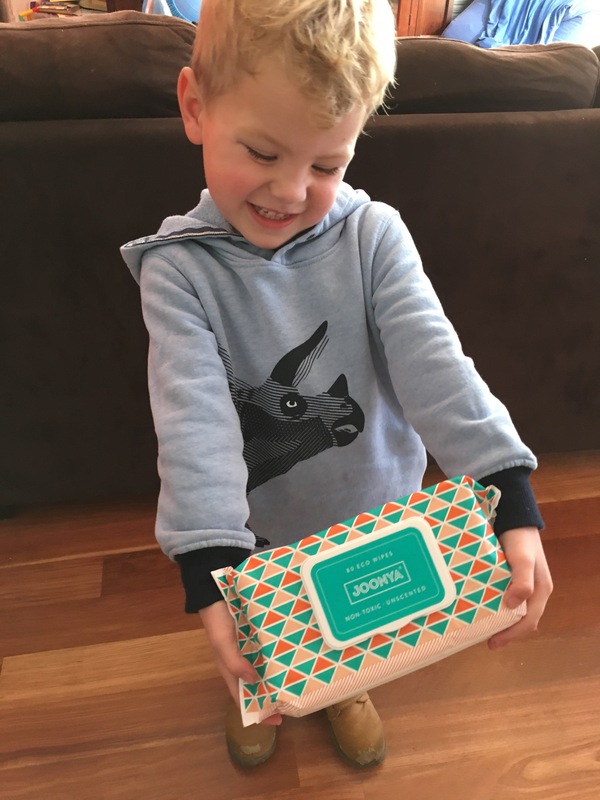 Most people have probably never considered what is in the leading brand baby wipes, but some contain over 18 chemicals- even cancer causing ingredients such as formalehyde and petrochemicals are legally allowed to be included in personal care and baby products stocked in Australia !! As a nurse/midwife, I have battled dermatitis on my fingers and hands most of my career from washing my hands in harsh chemicals up to 50 times a day. I am very aware of the effect of “safe” chemicals have on the skin and try my best to avoid using anything not deemed natural or non toxic on my precious boys skin. The Skin and Cancer Foundation reported that 1 in 10 people have developed allergic dermatitis to the main preservative used in normal baby wipes, methylisothiazolinone. The mix of chamomile, aloe vera and jojoba oil mean they leave your hands or baby smelling great but are not too overpowering for little noses. They are super soft but very strong. I wasn’t able to rip it easily, so I’m assuming it would clean the worst poonami without tearing! Newborn’s can go through 8-12 nappy changes a day so wipes being affordable, is a big factor in choosing what to use. At $5.50 for a pack of 80 or $4.40 in a subscription box they are the same price as the leading brand (chemical filled) ones. 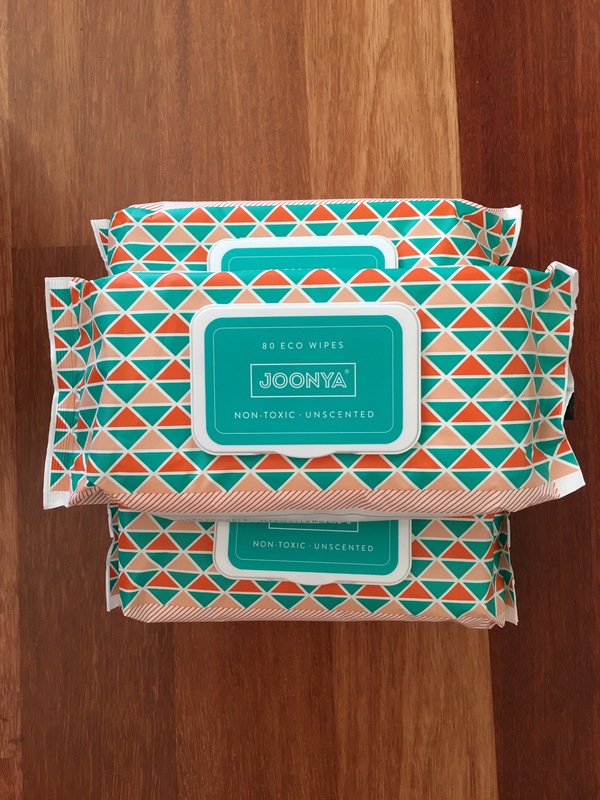 The impact disposable wipes have on our environment also concerns me but the Joonya wipes are made from viscose material (derived from plant fibres) so are environmentally friendly and 100% biodegradable ( but still don’t flush them!!). The packaging is super cute, kept them moist with an easy close lid and is also recyclable! If you want to try some non toxic environmentally friendly wipes, head to http://www.joonya.com to order today!